Vote forMornington Peninsula, VICTop Regional Destinations Which are Australia's must-visit destinations? You help us decide. Situated roughly a 90 kilometre drive from the Victorian capital, Melbourne is the lovely Mornington Peninsula, one of the state's favourite getaway spots. Famed for its delightful waterfront areas and stretches of pristine beach, the Peninsula combines stunning bay views, a host of delectable locally-produced foodstuffs and a myriad of other unique attractions and quirks that makes it a go-to getaway destination for locals and those from further afield alike. In terms of Victorian getaway spots, the sunny and scenic Mornington Peninsula has a special spot in many local's hearts as it is both easily accessible and offers a wonderful blend of activities and scenery all wrapped up in a picturesque coastal environment. Just over an hour from Melbourne is this slice of regional charm that features an eclectic mix of seaside environments, arts and crafts, aquatic adventure and family-oriented attractions. While it specialises in marine entertainment – with its sheltered bay on one side and ocean beach on the opposite – there's far more than simple water sports to take part in here. Of course, its coastal aspect is still the star of the show, and it's here that the Mornington Peninsula offers a solid dose of marine entertainment for sunshine-starved Melbournites. The region covers over 260km worth of coastline surrounded by wildlife-rich waters that make for great both relaxation and exploration. As a result, visitors to the Peninsula can take part in the likes of surfing, snorkelling, scuba diving and various other aquatic pursuits, many of which showcase the distinctive marine life of the region. There are two main species that standout in the waters of Mornington – bottlenose and common dolphins of which over 90 call the Port Phillip Bay area home, and the strange yet fragilely-beautiful Weedy Sea Dragon, a cousin of the seahorse. Scuba divers also find plenty to keep themselves occupied in the Mornington Peninsula's waters, as numerous shipwrecks dot the waters as well as a number of rocky reefs home to fish, sponges and more. Even the simple act of swimming is a joy for young and old alike, as the sheltered nature of the Peninsula's beaches create family-friendly swimming environments that make it a great destination for those with kids. Step back on land and the offerings of the Mornington Peninsula open up even further – in general it's a destination that emphasises laid-back enjoyment and leisure, with activities such as golf, shopping, food and wine and artistic endeavours all playing prominent roles. The region is even home to hot springs, utilising geothermally-heated waters to sooth aches, pains and stress all surrounded by picturesque, rolling hills. The combination of all of its varied attractions and offerings – as well as a favourable climate – make the Mornington Peninsula one of Victoria's most family-friendly destinations, while adults travelling solo will revel in its diverse opportunities to step back and soak in natural offerings and escapist therapies. A pleasant atmosphere full of green, gold, and blue make the Mornington Peninsula easy to recommend for a dose of all-around travel goodness. Looking to pay a visit to Mornington Peninsula but not sure what to do? Here are some of the most essential experiences. What's new in Mornington Peninsula in 2017/2018? Local hotel Jackalope was named Australia's Hotel of the Year during the Gourmet Traveller Australian Hotel Guide Awards. Wildlife attraction Moonlit Sanctuary opened a new enclosure to house Australia's largest birds of prey, the Wedge Tailed Eagle. 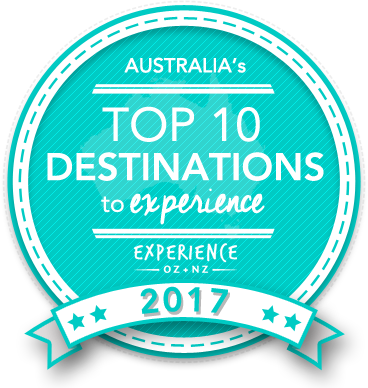 Is Mornington Peninsula Australia's Top Regional Destination to Experience for 2017? Vote now for the chance to WIN an epic trip to one of Australia's top destinations!